Three Rivers maintains an open admissions policy and extends the opportunity for higher education to individuals who demonstrate the motivation and maturity needed to benefit from community college instruction. The College provides educational opportunities to people regardless of age, religion, racial or ethnic background or disabilities. The College accepts all graduates of accredited high schools, individuals who hold a General Educational Diploma (GED), mature adults who demonstrate the ability to perform academically at a college level, high school students accepted for early admission or those participating in the College Career Pathways Program or the High School Partnership Program. Applications are accepted year-round for fall, spring, summer and winter sessions. Applicants can apply online or download the Application for Admission from the college’s website. Instructions on how to apply to the college are found in the Admissions section of the College’s website at www.threerivers.edu and as described in this catalog under the How to Apply to the College section below. Applications are also available at all high school guidance offices in the College’s service area, and at the College’s off site Office located at the Naval Submarine Base, Groton, CT. Admission to the College provides access to higher education and many other academic benefits. Academic excellence necessitates adherence to a code of standards. Course placement assessments and prerequisite courses help to maintain the integrity of the level of instruction in the classroom. Applicants who lack the necessary math or English backgrounds may be admitted with the understanding that they will take advantage of the College’s developmental courses in math and English prior to pursuing the curricula of their chosen programs. 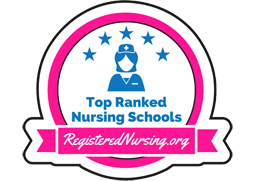 Admission to the Nursing, A.S. is selective and governed by special admissions criteria as described in the admissions section of this catalog under Connecticut Community Colleges Nursing Program. All students desiring to enroll in classes at Three Rivers Community College must complete an application for admission. Download and Complete an Application Form. A $20 non-refundable application fee is required with a completed application form (if you have applied to another Connecticut Community College, you do not pay the fee again). High school seniors may take the completed application and fee to their high school’s guidance office to be mailed to the College. Address to the Admissions Office, Three Rivers Community College, 574 New London Turnpike, Norwich, Connecticut, 06360. You will need a credit card to complete an online application. Former students or applicants of any Connecticut Community College do not need to pay the $20 application fee. Recommended Application Deadline - Two weeks before the semester or session begins. Please Note: Your TRCC Admissions Acknowledgment Letter, Acceptance Letter and other correspondence will be sent to the email address you provide on the Application. Students are strongly encouraged to complete the online Free Application for Federal Student Aid (FASFA) using the Three Rivers Community College school code “009765”. You may complete the financial aid application at: www.FAFSA.ed.gov. Seven days after completing this process, contact the Three Rivers Financial Aid Office at (860) 215-9040 or log into www.my.commnet.edu to find out your eligibility status. Instructions for logging into myCommNet will be provided with your emailed acceptance letter. Proof of high school completion or equivalent - Required for students seeking a degree or certificate, as well as students applying for financial aid. Submit a copy of your high school transcript with graduation date (required if you graduated within the last 5 years), high school diploma, GED certificate or State High School Equivalency diploma. High school seniors should request from their guidance counselors that a copy of their current transcript be sent to TRCC to assist in course placement. The final transcript should be sent after graduation. Students who have completed the high school equivalency test should submit a copy of their GED Certificate. Once an applicant has submitted official transcripts from another school, they become the property of the College and will not be returned to the student. This applies even if the applicant does not enroll. Immunization requirements - Connecticut State Law requires all full-time and part-time matriculating (degree and certificate seeking) students born after 1956, and enrolled in post-secondary school to provide proof of adequate immunization against measles, mumps and rubella; and varicella (chicken pox) for those born in the United States after 1979, and for all those born outside the United States. Students must have two doses of each vaccine administered at least one month apart with the first dose given on or after the first birthday. For more information on the State Immunization Policy, including exemptions from this requirement, refer to the State Immunization Policy Form. Course Placement for English and/or math - Course Placement is an assessment of basic skills in mathematics, reading and writing. Assessment for course placement may be necessary to help advisors assess readiness for college-level classes and assist in selecting appropriate courses. Prior College: Students who have successfully completed college level English and math credits may fulfill the course placement requirement when they provide an academic advisor with unofficial transcripts of prior coursework. SAT and/or ACT Scores (if available): Please submit your scores to the Admissions Office. High School Transcript (required if you graduated within the last 5 years): Please submit a copy of your transcript to the Admissions Office. Accuplacer Placement Test: Required for all new, first-time college students. Degree recipient status is not an automatic exemption from prerequisite standards. More information on course placement is included in the Additional Admissions Information section of this catalog. NOTE: Three Rivers recommend that you provide us with these documents at the time of application, but we can begin the admission process if these items are still pending. However, all documentation must be received before you will be permitted to register for classes. Payment of fees is expected at the time of registration. The total tuition owed is payable by the payment date deadline specified by the college each semester. An official financial aid award can be applied as payment. Payment plans are available for students registering for 6 or more credits. Contact the Cashier’s Office at (860) 215-9026 for more information. New, First-Time College Students must attend an Advising and Registration Workshop (for students only), to register for their first semester courses and learn about degree programs and strategies for college success. Once you have taken the placement test and submitted all supporting documents, you will be directed to sign up for an Advising and Registration Workshop and choose your classes. Advising and Registration Workshops may not be available for late applicants. Please visit the Welcome Center (Room A113) for information regarding late applications. Transfer Students (those who have previously attended college) - Will meet with an advisor to review previous college work and select classes. Transfer students should bring copies of their prior college transcripts in order to facilitate the registration process. Detailed information on the registration process will be provided in your emailed acceptance letter. After registering for their initial semester at TRCC, degree-seeking transfer students, from regionally accredited institutions of higher education, should have their official college transcripts sent to the Registrar’s Office for an official transfer credit evaluation and to add these classes to their TRCC transcript. This will simplify online registration. 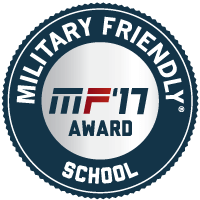 Official military transcripts, proficiency exams including CLEP, DSST and AP exams can also be transferred for credit. Readmitting Students (former Three Rivers’ students who are returning after an absence of at least two years) - An application fee is not required if paid at the time of initial application to the College. Readmitting students are encouraged to contact an advisor to discuss how prior course work at Three Rivers or from other colleges attended may apply to current degree requirements. Detailed information on the registration process will be provided in your emailed acceptance letter. Three Rivers is authorized under Federal law to enroll non-immigrant students with a permanent residence outside the U.S. but who wish to be in the U.S. on a temporary basis and hold an appropriate visa. Applicants for a student F-1 visa should contact the Admissions Office at (860) 215-9237 for more information. Applicants for a student visa (F1 status) must complete the following procedures at least six weeks in advance of the semester in which they wish to enroll. Special circumstances may be considered on an individual basis. Complete an Application Form (3 months prior to the start of classes is recommended) - Provide a valid email and include the $20.00 Application Fee (do not send cash). For Students Living with a Sponsor: Provide a notarized Affidavit of support by a sponsor who is a U.S. citizen or permanent resident stating that he or she will assume responsibility for room, board and usual and emergency expenses. If the student depends on funds from a source outside the United States, it may be necessary to determine if restrictions exist. Copies of bank statements which certify that sufficient funds are available to cover tuition, fees, living expenses and books for at least one year must also be submitted. For Students Living Independently: Provide proof of your ability to cover educational and living expenses in U.S. currency. Copies of bank statements which certify that sufficient funds are available to cover tuition, fees, living expenses and books for at least one year must also be submitted. Immunization: Connecticut State Law requires that all full-time degree and certificate seeking students enrolled in post-secondary schools be adequately protected against measles, mumps and rubella; and varicella (chicken pox) for those born in the United States after 1979, and for all those born outside the United States. Students must have two doses of each vaccine administered at least one month apart to insure adequate immunization. Please refer to the Immunization Form for more detailed information on this requirement. English Proficiency: Three Rivers does not provide qualified intensive English as a second language instruction. For this reason, all international F-1 students must have sufficient proficiency in English to allow them to enroll in a full-time program, in college level courses. All new students are required to take a computerized placement test to assess basic skills in English and mathematics and demonstrate English proficiency. The computerized placement test or Accuplacer, as this test is known, is administered in person only at Three Rivers. Placement Test: Your email address will be the official mode of communication for scheduling the placement test. Once your Application for Admission to the college has been processed you will receive an email on how to schedule the placement test. An Admissions Advisor will receive a copy of your test and will contact you with your next step. Refer to the Testing Center/Placement Testing page for more information on this requirement. Passport: Provide a Copy of your passport with expiration date including attached I-94 or if applicable, a copy of previously issued I-20. For more information on International Students refer to the Admissions section of the College’s home page at www.threerivers.edu. Non-degree students are those who are taking credit courses but are not working towards a degree or certificate at Three Rivers. Persons applying as non-degree students must complete the required Application for Admission form. A $20 nonrefundable application fee must accompany the completed application form. The application fee will be waived if it has been submitted to another Connecticut Community College. Non-degree students are ineligible for financial aid and some veterans’ benefits. College transcripts may be required when non-degree seeking students wish to enroll in courses that have prerequisites. Applicants admitted as non-degree students may subsequently become degree candidates by complying with the degree seeking student requirements and completing a Program Change form available from our website or from the Admissions Office. Non-degree students may be required to take a placement test or provide additional course placement criteria. Information about registering for classes is sent to new non-degree students with their acceptance letter. The acceptance letter is sent to the email address that the student provides on the Application to the College. Non-degree students must provide proof of immunization when they register for 12 or more credits in a semester. For more information on the State Immunization Policy, including exemptions from this requirement, refer to the Immunization Form in the Admissions section of the College’s home page at: www.threerivers.edu. The Three Rivers Community College Nursing Program is part of the Connecticut Community College Nursing Program (CT-CCNP) www.ct.edu/nursing. High school juniors and seniors attending schools participating in the High School Partnership Program are required to submit a special application available at participating high school guidance offices. Priority is given to high school seniors. Students are required to take a Placement Test in order to demonstrate ability to succeed in a college level course. Course selections are determined by placement test scores. SAT or ACT test scores (if available) should be sent with the application. Eligible students may enroll in one credit course in the designated semester on a space available basis. Scholarships cover the cost of tuition, college service fee and student activity fee only. Special fees, such as course lab fee and art studio fee, book/supplies and transportation are the student’s responsibility. To determine if a high school participates in this program and to learn about other opportunities, interested students should call the Admissions Office at (860) 215-9237. CCP courses are taught during the regular high school day by qualified high school teachers who have been certified as adjunct instructors for TRCC by corresponding academic departments. CCP courses taught by high school instructors are as rigorous as the TRCC on-campus counterpart. TRCC and each high school collaborate to ensure the content, assignments and assessments of CCP Courses are the same as courses offered on the TRCC campus. CCP students become a TRCC student once enrolled in a CCP course at their high school. As such, CCP students are given access to all college supports such as the Donald R. Welter Library, the tutoring center and fitness centers. English as a Second Language (ESL) courses at Three Rivers Community College are designed to serve the needs of non-native speakers of English who have already attained basic fluency in English. These courses have been developed to enhance students’ fluency in English. Students are placed in these courses through multiple assessment including placement test scores. These courses are designed to help students whose academic skills need development before they take required courses in their plan of study. Students needing skill development in mathematics or English courses are required to complete specific courses determined by multiple assessment, including placement test scores, prior to enrolling in college-level course work. These courses are designed to give students the foundational skills that are fundamental to successfully completing college-level courses. See ENG* K096, MAT 095 and MAT* K095I in the Credit Course Description in this catalog. See the Tuition, Fees and Refunds Information section for specific dates and times of service to determine eligibility. Connecticut tuition waiver may apply to some veterans. You do not have to be in a degree or certificate program if you are only going to use the tuition waiver. Married veterans who are eligible for Montgomery GI Bill-Active Duty (Chapter 30) benefits and have remaining entitlement from old GI Bill (Chapter 34) benefits must have their marriage certificate and birth certificates of any children certified by either the Veterans Administration or the College VA Representative. Spouses and dependents who will be receiving transferred benefits under the Post 911 GI Bill, MUST also contact the VA Representative to complete the process. * A spouse or child using transferred benefits who lives in the state in which the institution of higher learning is located (regardless of his/her formal state of residence) and enrolls in the school within 3 years of the transferor’s discharge from a period of active duty service of 90 days or more. Three Rivers Community College welcomes students with disabilities and strives to make their college experience successful. Students with documented disabilities have access to academic adjustments in accordance with all state and federal laws. Disclosure of a disability is voluntary. A confidential disabilities disclosure form is provided to all newly admitted students. Students who submit a self-disclosure form will receive a letter indicating the name and phone number of the student’s disability service provider, requesting that they contact the disability service provider to arrange an appointment. Elevators are available and special parking areas and entrances are conveniently located near the elevators. In compliance with the Student-Right-To-Know and campus Security Act of 1990 (Public Law 101 542), graduation, transfer, still enrolled, and combined success rates for all first-time, full-time degree or certificate seeking freshman, are provided to inform current and prospective students and all other interested parties. For more information, refer to the Equity and Diversity webpage.